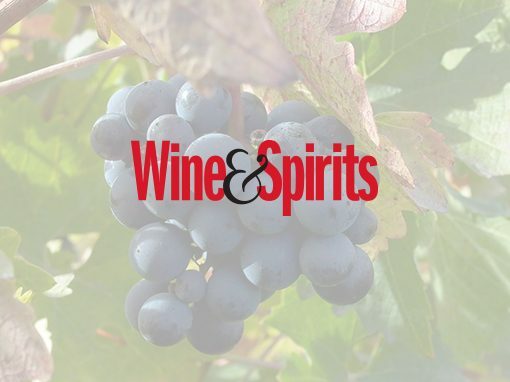 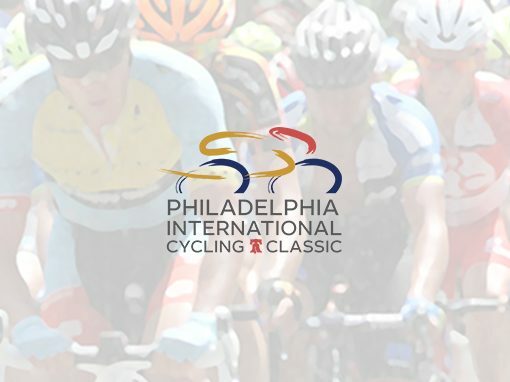 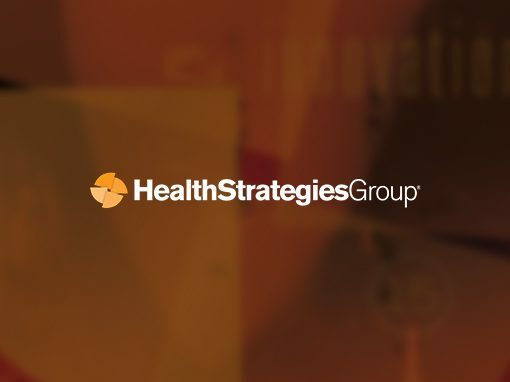 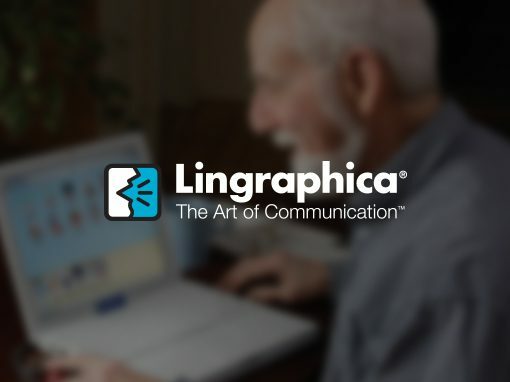 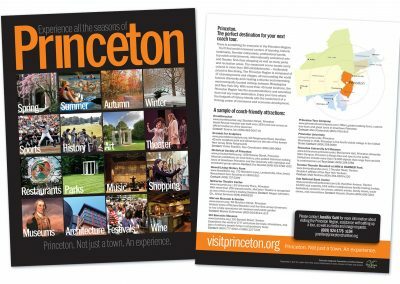 The Princeton Regional Convention & Visitors Bureau asked us to create an ad to run in a publication read by executives who plan company meetings and conventions. 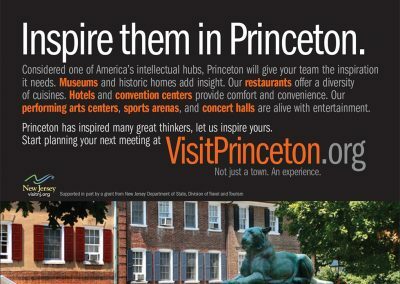 In addition to it’s many educational institutions that make it famous, Princeton has many wonderful venues for conferences and company meetings. 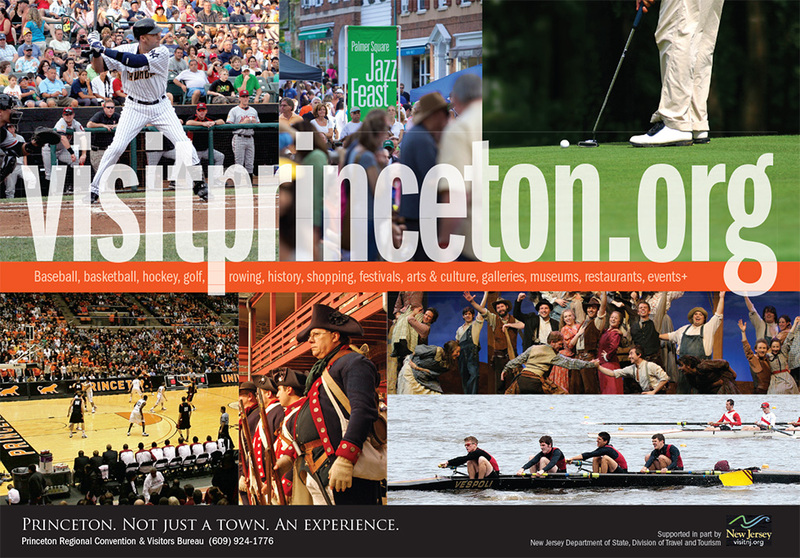 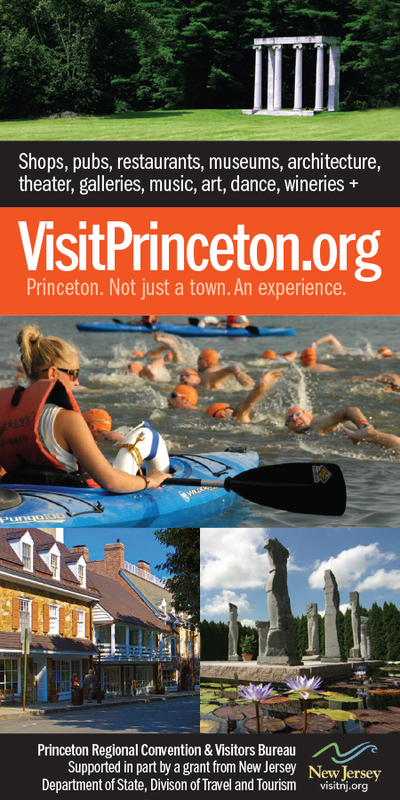 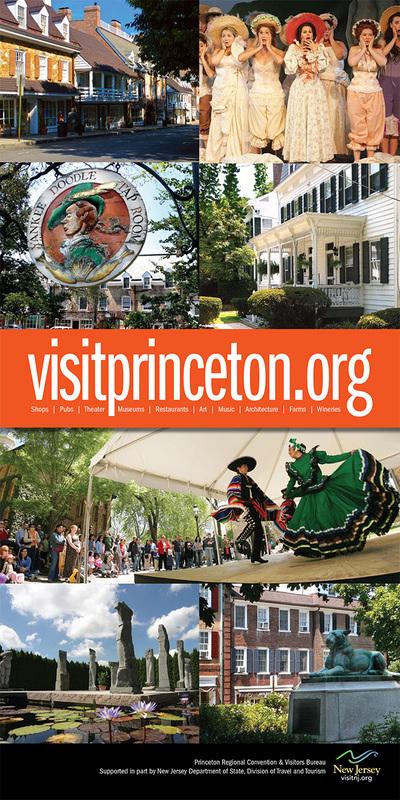 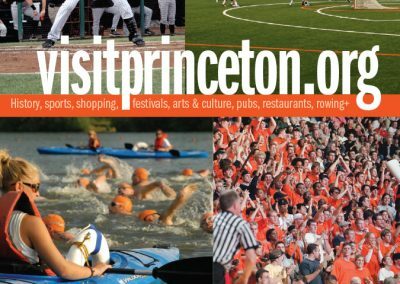 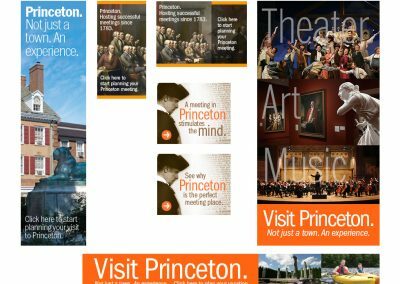 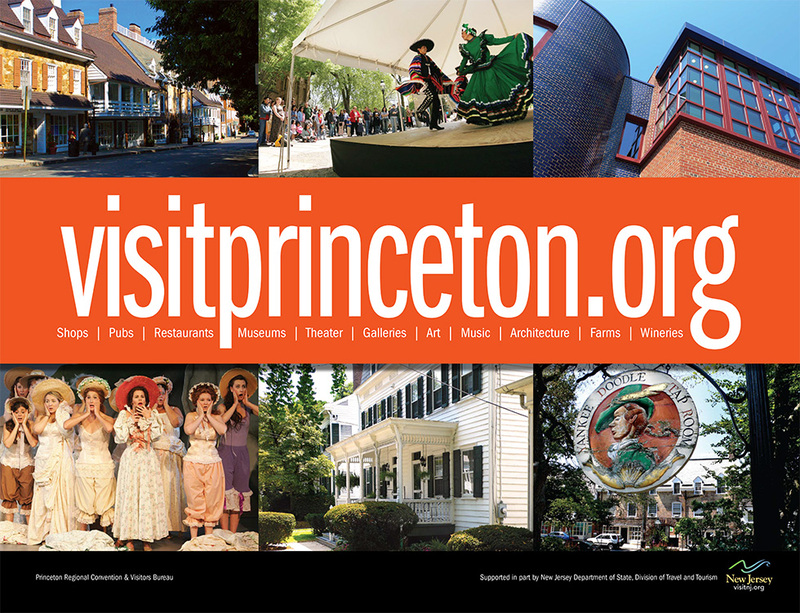 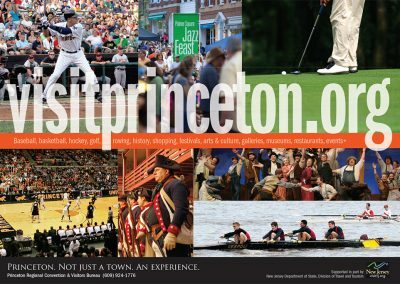 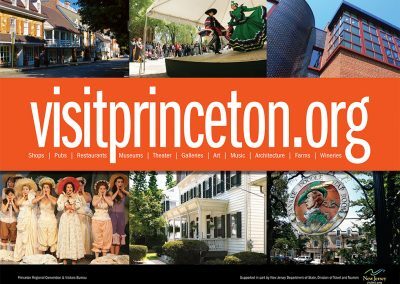 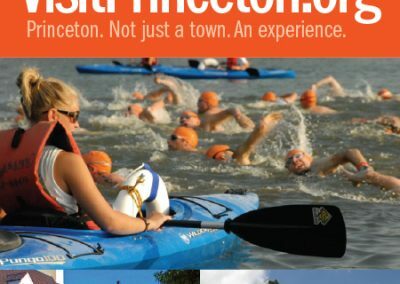 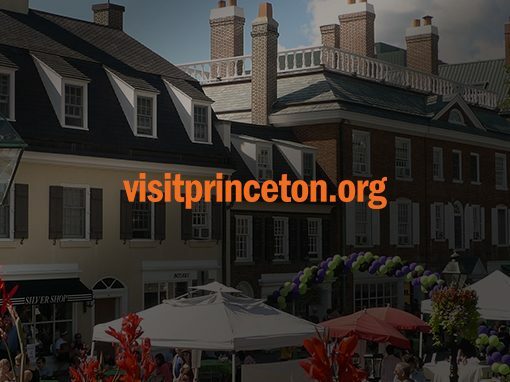 The goal of this ad was to encourage meeting planners to consider Princeton as a destination for their next conference. 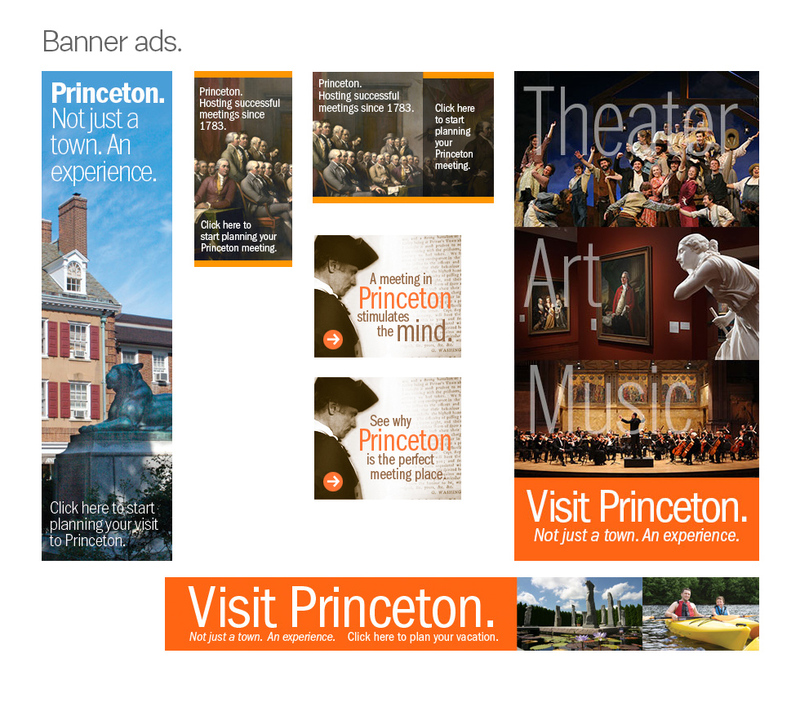 To appeal to this audience we knew that we would need to include some numbers. 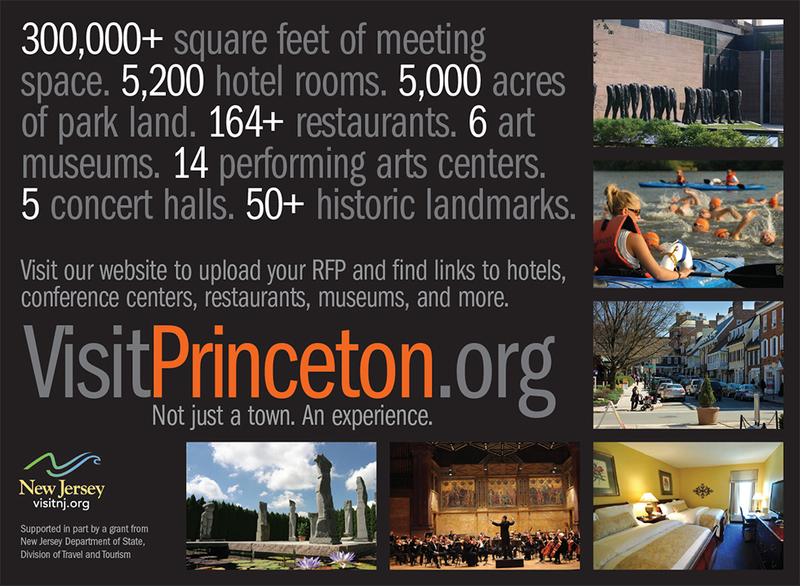 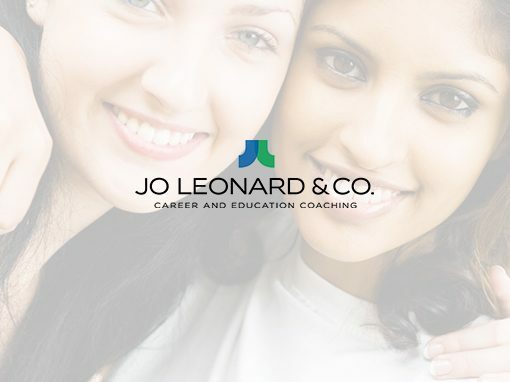 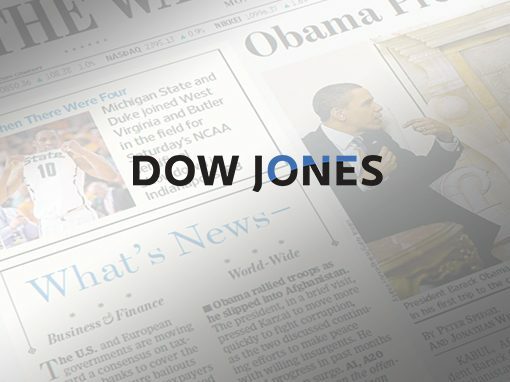 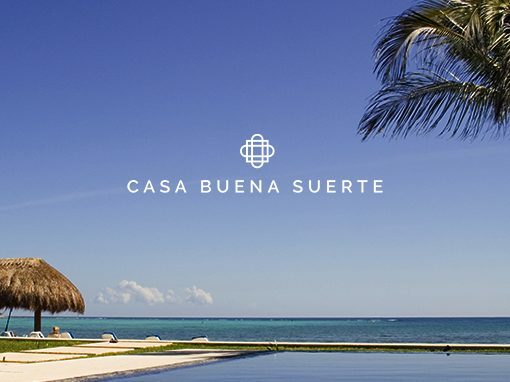 Hotel rooms, conference space, restaurants, and of course the cultural and shopping benefits. 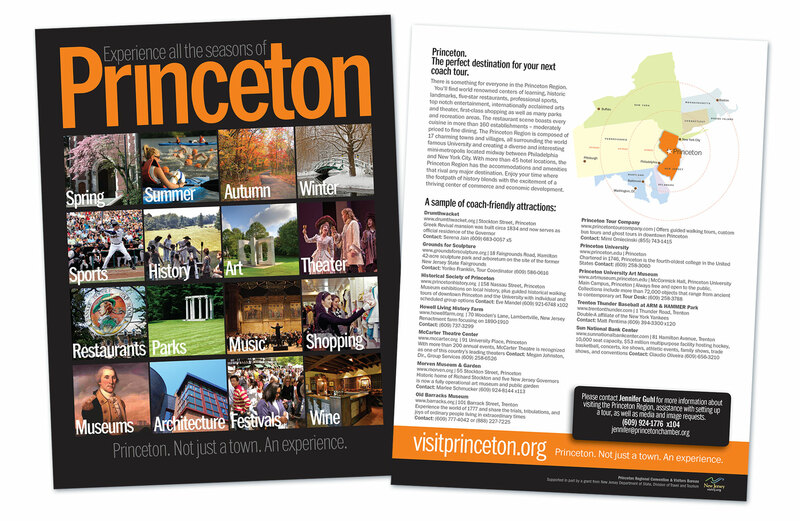 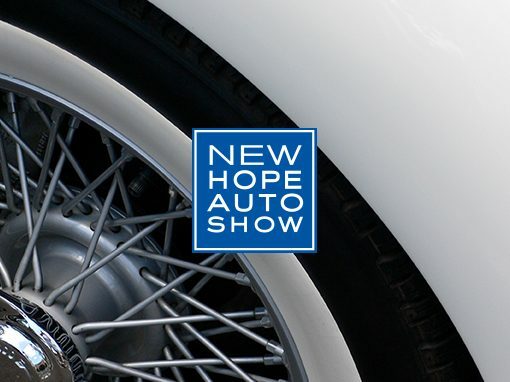 We felt we could also introduce a bit of history. 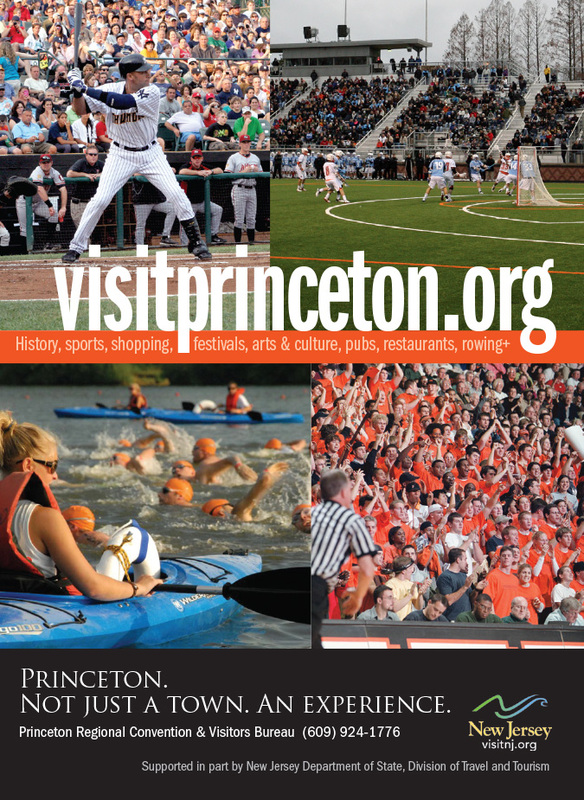 As we all know from our high school history class, Princeton hosted the Second Continental Congress in 1783. 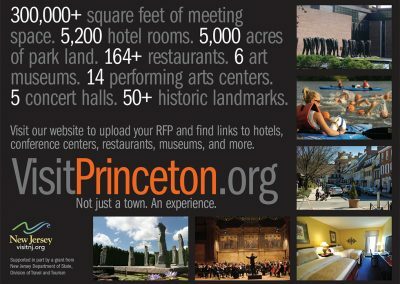 Now that was a meeting. 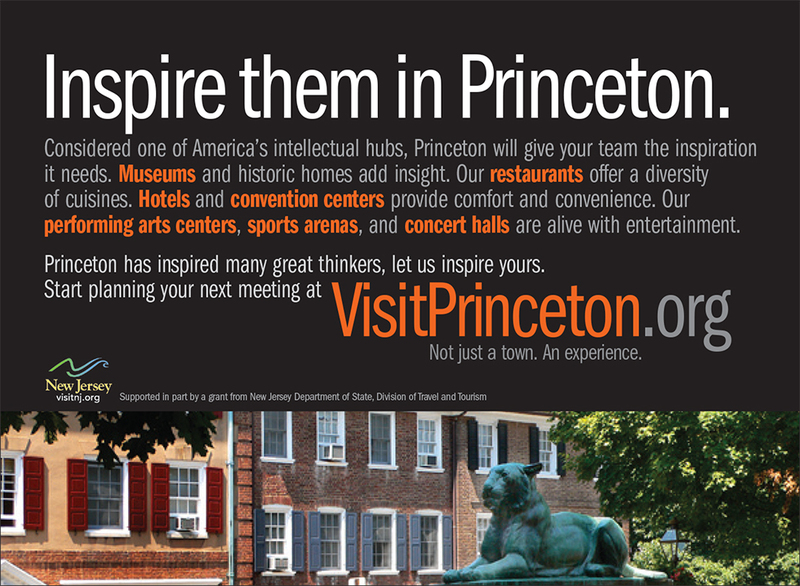 What better way to link historic Princeton with a meeting planning audience. 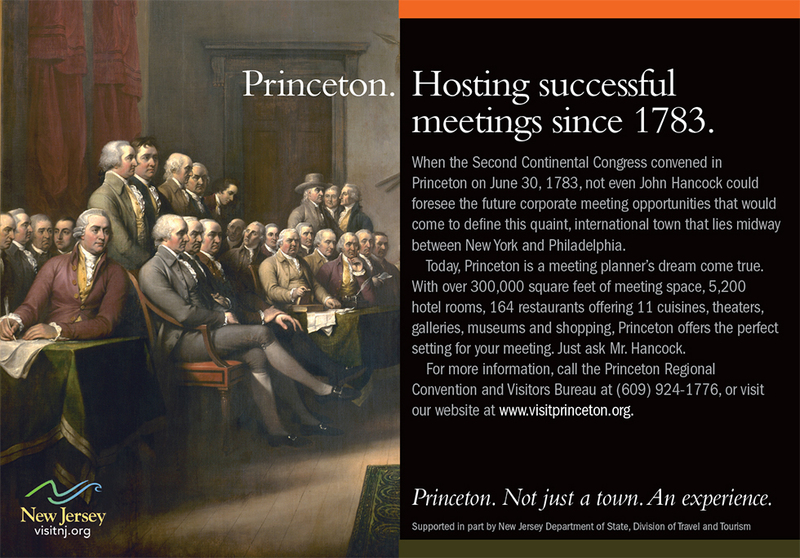 We found a somewhat famous painting depicting the gentlemen of the Second Continental Congress during their important meetings about our new nation. 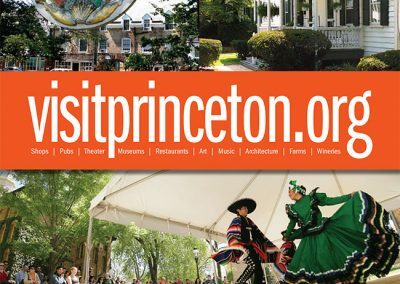 The headline came naturally.